adidas officially brings its groundbreaking Boost technology to the baseball diamond with the game-changing Energy Boost Icon cleat. The first adidas non-running shoe to feature boost, this new cleat brings endless energy and acceleration to the field when it matters most. 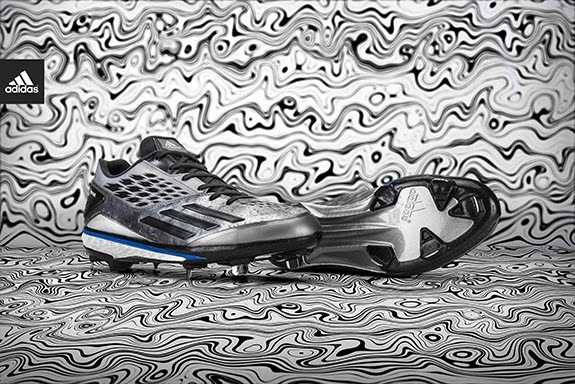 Designed for the best athlete on the diamond – the five tool player – the adidas Energy Boost baseball cleat features shockvent windows for maximum ventilation, an external heel clip for peak stability, and a new print called Damascus. University of Louisville and UC Irvine will debut the adidas Energy Boost baseball cleat at the College World Series. The cleat is available for $150.